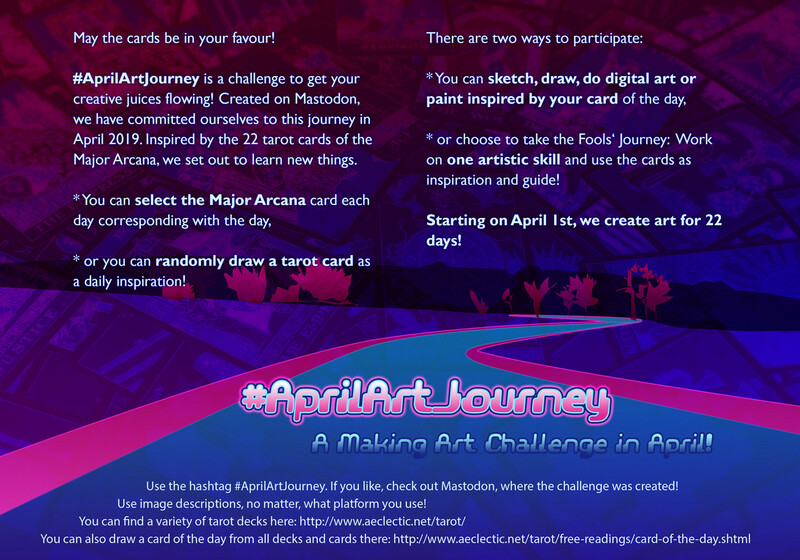 #AprilArtJourney* is a challenge to get your creative juices flowing! We have committed ourselves to this journey in April 2019. Inspired by the 22 tarot cards of the Major Arcana, we set out to learn new things. * or you can randomly draw a tarot card as a daily inspiration! * or take the Fools‘ Journey: Work on one artistic skill and use the cards as inspiration! Starting on April 1st, we create art for 22 days! Use image descriptions, no matter, what platform you use!